There are over 400 phytonutrients that exist in Hemp Plants. 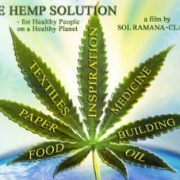 Hemp is often mistaken for its cannabis cousin, marijuana, even though smoking an entire garbage bag of hemp would not produce an altered state of consciousness. Optimal brain health is achieved when linoleic acid (LA) and alpha linoleic acid (ALA) are consumed in a ratio only naturally found in hemp. The brain also has a requirement for cannabinoids, which regulate most of the major functions of the body including alertness, emotions, inflammation and cancer defences. The brain can make a small number of its own cannabinoids, but as 4,000 years of history and decades of scientific research indicate, it operates optimally when supplied with dietary cannabinoids, such as those found in hemp. The brain can build itself from saturated and monounsaturated fats but it has a preference for Omega 3 and 6 fatty acids. 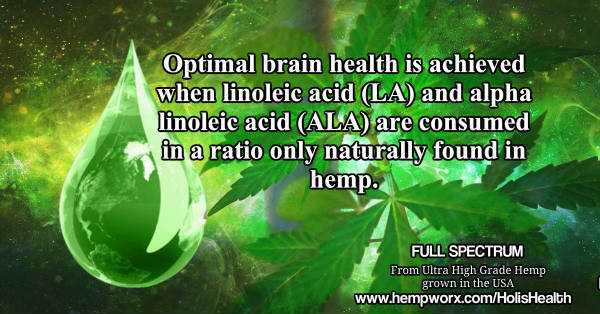 Research on humans and animals suggests that optimal brain health is achieved when linoleic acid (LA) and alpha linoleic acid (ALA) are consumed in a ratio of between 3.5:1 and 4:1–a ratio only naturally found in hemp. Like other oil seeds, the hemp nut consists mainly of oil (typically 44%), protein (33%) and dietary fiber and other carbohydrates (12%, predominantly from residues of the hull). In addition, the nut contains vitamins (particularly the tocopherols and tocotrienols of the Vitamin Ecomplex), phytosterols and trace minerals. Overall, hemp’s main nutritional advantage over other seeds lies in the composition of its oil, i.e. its fatty acid profile, and in its protein which contains all of the essential amino acids in nutritionally significant amounts and in a desirable ratio. More and more people are discovering the nutritional benefits of hemp seed, nut and oil. Confusion between hemp oil and marijuana oil has spiked recently, as states have passed medical marijuana laws that allow for the use of strains of marijuana that are low in THC and high in CBD. Consumers often confuse hemp oil with CBD oil because both are low in THC and contain CBD. In many forms of epilepsy, damage to or faulty development of glucose receptors on brain cell membranes can starve brain cells of their preferred energy source. Going hand in hand with demand for glucose is oxygen delivery to brain cells. Depletion of either can result in a significant decrease in mental function. Furthermore, essential fatty acid deficiency can lead to instability of brain cell membranes. This leaves the brain susceptible to damage and can cause aberrant electrical activity, resulting in seizures which in turn can cause further brain damage. This is a vicious circle of deficiency, dysfunction and deterioration. A ketogenic diet is one in which a dietary emphasis on the medium chain triglycerides found in coconut oil leads to the production of ketones that can serve as an alternative energy source for brain cells. 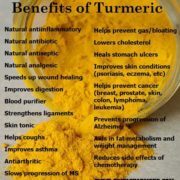 It has shown some limited success in improving function in metabolic conditions such as epilepsy, Alzheimer’s disease and Parkinson’s disease. One possible reason for the modest success of some ketogenic approaches was the substitution of real food with highly processed powdered formulas consisting mostly of synthetic chemicals. Some even include synthetic omega 3 and 6 compounds, the synthetic sweetener sucralose and genetically modified high fructose corn syrup, all of which are suspected of actually causing brain damage and/or seizures. 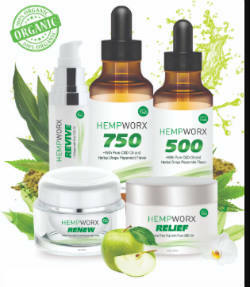 According to scientific and clinical studies, hemp oil has the potential to help a range of conditions including epilepsy, diabetes, rheumatoid arthritis, chronic pain, alcoholism, schizophrenia, PTSD, antibiotic-resistant infections, and various neurological disorders. In addition to trying an alternative energy source, what if it were possible to address the underlying source of the brain’s energy problems? Here are five ways hemp could be the answer to combating epilepsy. It has been shown that glucose receptor dysfunction in the brain is related to membrane instability from dietary essential fatty acids (EFA) deficiency. Restoration of adequate membrane EFA content increases glucose uptake and utilisation in brain cells. Researchers from Israel tested the idea that optimising EFAs could help prevent seizures in rats. The rats underwent four different treatments known to cause seizures. One group of rats was fed an EFA mixture of LA and ALA in a ratio of 4:1 for three weeks prior to the experiments and the control group was fed a diet deficient in EFAs. At the end of the period, all rats underwent procedures to cause seizures. Over 90% of the deficient rats suffered seizures as expected, though the EFA-fed rats had profoundly better outcomes. In total, 84% of the EFA rats stopped having seizures altogether. Of the remaining EFA rats, the onset of seizures was delayed by 2,200% and the duration of seizures was reduced by 97%. The researchers attributed the success to stabilisation of brain cell membranes in the EFA-fed rats. It is worth noting, however, that rats have a faster membrane turnover of EFAs, so while three weeks may be sufficient time to replenish membrane EFAs in the rodents it may take much longer in humans. One of the functions of omega 3 and 6 fatty acids is to act as oxygen magnets and transporters. It is known that Haemoglobin carries oxygen around the body; however, before oxygen can bind with the haemoglobin in red blood cells, it first has to be attracted to and released into the cell. This is exactly what omega 3 and 6 do. 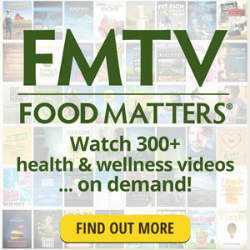 Research in cystic fibrosis has shown that as cell membrane levels of linoleic acid (Omega 6) decrease, and levels of oleic acid increase, the amount of oxygen entering the cell decreases. Linoleic acid, aas found in hemp seed oil, undergoes “reversible oxygenation” much more easily than oleic acid. The researchers concluded that a diet overly rich in oleic acid and too low in linoleic acid can impair the oxygenation of cells. Human cells run on electrical energy. The more of this electrical energy we have, the more alive we feel and healthier we become. This energy ultimately comes from the sunlight energy that green plants absorb and store electrically in their leaves and fruits. When eaten, the body uses some energy to break down the plant until its stored electrical energy is released and available to power the cell. LA and ALA are especially electron-rich molecules. In the 1950s, German physicists discovered that the vibration frequency of the electrons in LA and ALA matches the vibration frequency of sunlight energy. This makes LA and ALA perfect receivers and carriers of sunlight energy. They pick up this energy through the skin as the blood circulates the oils near the surface of the body, and can release it directly into cells. If we consume enough EFAs and regularly expose our body to sunlight, we literally act like plants and freely absorb this life-giving energy from the sun directly into our blood cells. It is these oxygenating and energising processes that acclaimed German cancer doctor Johanna Budwig attributes to the rapid recovery her patients experienced when increasing their intake of EFAs and exposing themselves to sufficient sunlight each day. As mentioned, the brain can produce its own cannabinoids, all of which are made from metabolites of linoleic acid as found in hemp seed oil. The receptors cannabinoids interact with are also made from omega 3 and 6. Recent research showed that omega 3 deficiency leads to destruction of cannabinoid receptors resulting in various mental, emotional and physical dysfunctions. The entire endocannabinoid system is best fuelled by Hemp Seed Oil. 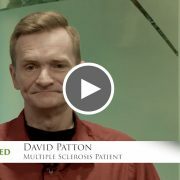 In summary, hemp seed oil’s unique content of omega 3 and 6 fatty acids may be capable of addressing a number of medically neglected metabolic issues in epilepsy, as well as optimising the function of the endocannabinoid system and transporting little parcels of sunlight energy around the body. 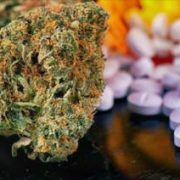 “The stories you have heard about people reversing epilepsy, cancer, pain and most other ailments come from the use of special strains of marijuana that are low in THC [which produces a high] and high in CBD,” Paul Benhaim, managing director of Hemp Foods explains. The strain was later renamed after a little girl called Charlotte who went from having hundreds of life-threatening seizures a week to zero after eating a high-CBD oil extracted from the plant in one go. “Charlotte had been on every epileptic drug there was,” says Benhaim, who has visited the family. “The drugs had ruined her brain and body; they were highly psychoactive, which would stop her heart bleeding, and most importantly failed to stop the seizures. “Within hours of taking the CBD oil, the hundreds of seizures stopped, and in two years they have not returned. Charlotte consumes a blob of CBD oil about the size of a grain of rice twice a day. There are no negative side-effects. It should be noted that the horrific side-effects of the drugs she was taking are well known and they are still approved for her and other children. It should also be considered that the western governments have known since 1971 that cannabis safely halts epilepsy, says Benhaim. According to the WHO, 50m people suffer from epilepsy worldwide. There are currently 300,000 children in the USA suffering from epilepsy, and 90,000 in Australia.